It's.... Monday! And its Thanksgiving week. The kids are off school all week for conferences and break so I got my shopping done early so I don't have to leave the house wit those little turkeys today. Some times its just easier to stay home. 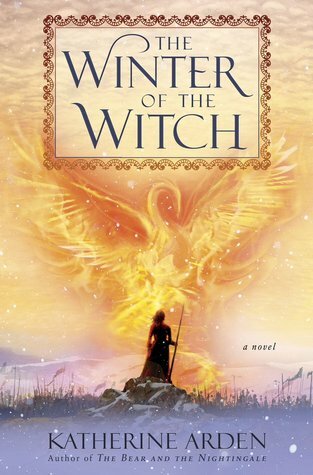 I've been reading some really awesome books this last week that I'm excited to share with you, but for this weeks read, I got my hands on a copy of The Winter of the Witch by Katherine Arden that I know we are all dying to read. I can't wait to blast through this one. This is going to be EPIC! Review to come. 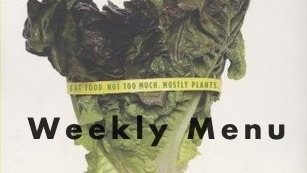 This weeks menu is going to be a little different because of Thanksgiving, but I'm sure you all already have your meals planned out for that day. We are BBQing the Turkey for the big family gathering and I'm making a few sides for my husbands smaller family get together. Its going to be a great day of eating and good company. Enjoy giving thanks with those around you!